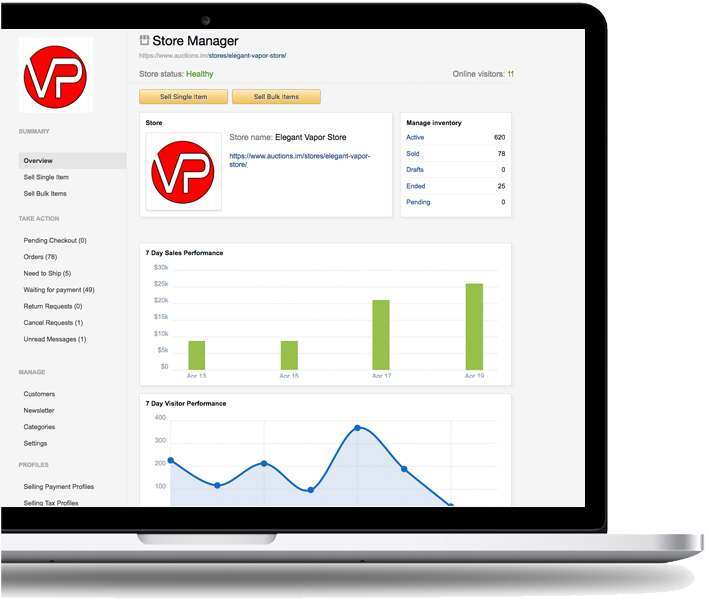 ILance backend stores dashboard provides a comprehensive overview of all top selling products and conversion rates to help stay on top of selling trends. 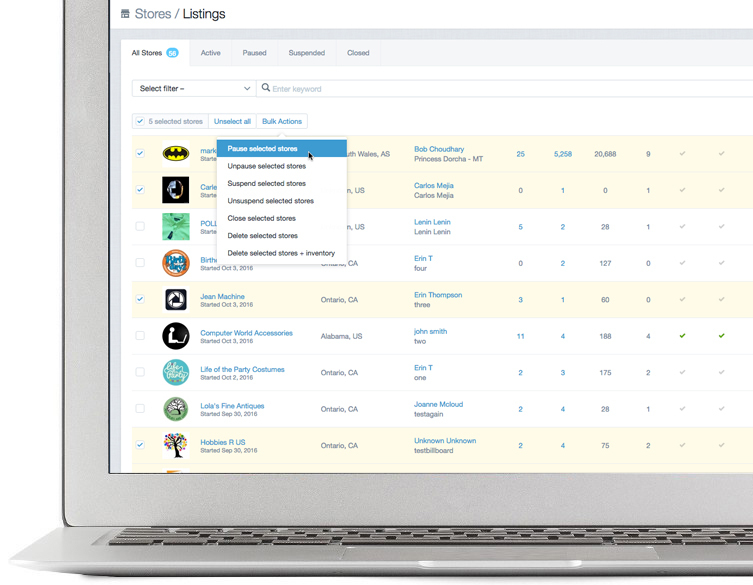 Keep track of all online stores with a detailed manager to filter any store name, seller, etc. New guests can register as a vendor and quickly open a new store in the marketplace to start adding products for sale. Vendors will have access to branding tools, selling menus and more.